Depending on where you live, some of you are probably already sick of the snow, but here in the Sierra's, it really has been wonderful to finally see snow again following a four year drought! 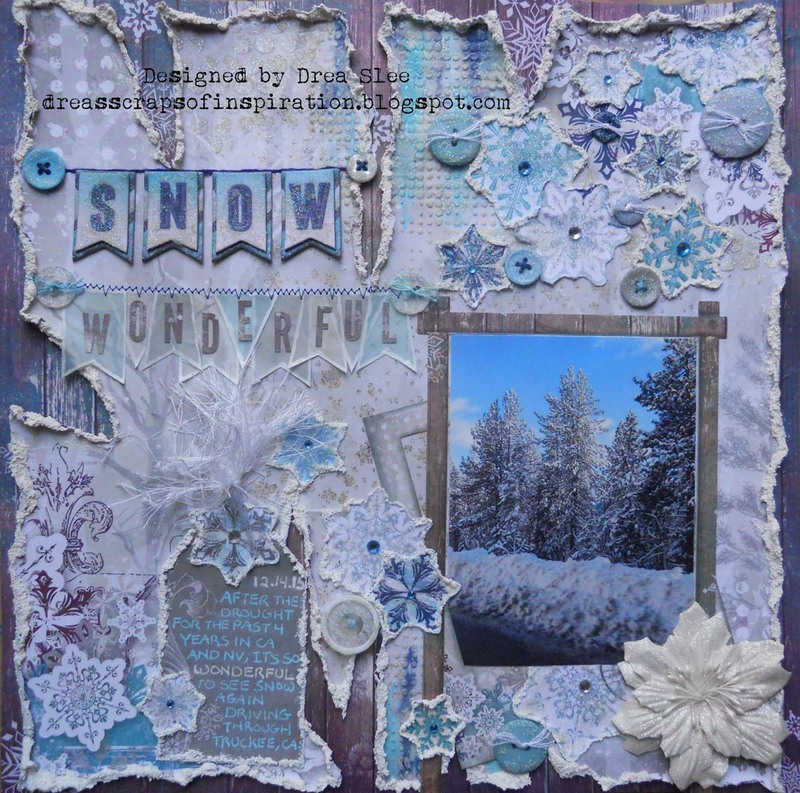 I used the beautiful Bo Bunny's Altitude I Want It All Bundle to create this fun snowy page. 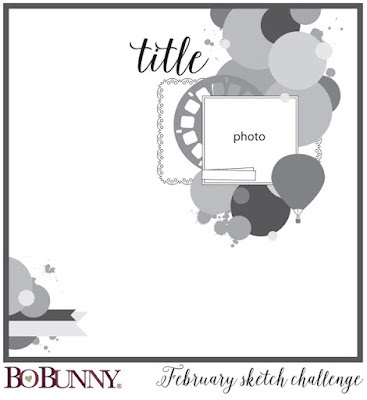 I'm always inspired by Bo Bunny, and used this fabulous sketch for my design! Be sure to stop by their blog to see all of their latest collections, and visit FotoBella to pick them all up. 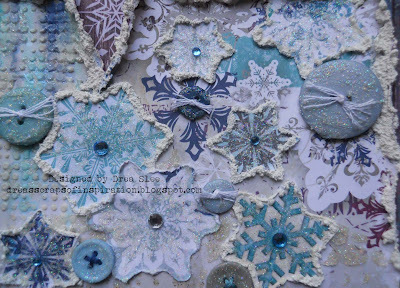 I started by embossing the snow and snowflakes with some glitter embossing powder onto the background. 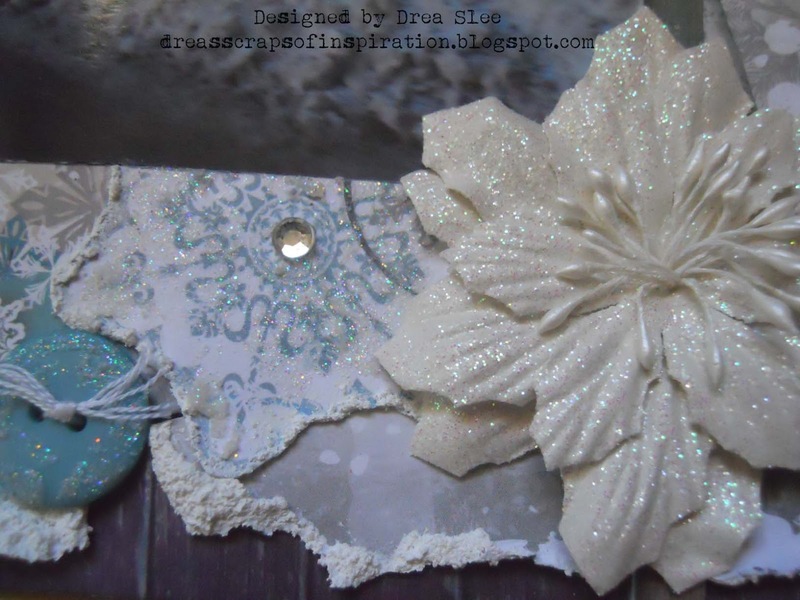 Then I applied some gesso and Glitter Paste (Sugar) with the Ranger Dot Fade Stencil and TCW Texurized Stencil along the top and bottom. To color the drips over the dots, I used some LSG sprays and magicals. 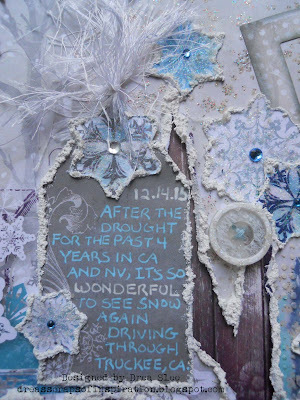 Then I made some major rips to the paper, and covered the edges with some Snow-Tex. I also used Snow-Tex on the ends of the fussy-cut snowflakes, covering the centers with Glitter Paste, which I also used on all of the buttons, adding even more from the Ephemera. To finish off the already sparkly snowflakes, I added some bling from my own stash to the centers. 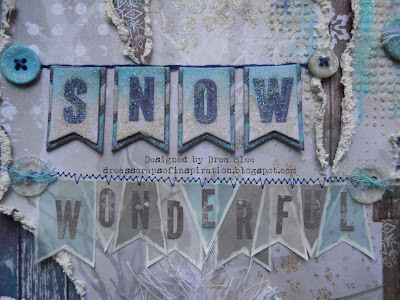 To make the title, I applied some Broken China Distress Ink onto the top of the SNOW banner, that you can get in the Layered Chipboard, using my Blending Tool. Then I used some more Glitter Paste (Sugar) over the letters, and hand-stitched along the top. I created the other banner with some different colors of vellum outlined with a white pen, and machine stitched along the top, which is a great way to attach vellum. To the alpha stickers that come in the 12 X 12 Collection Pack, I applied a Wink Of Stella (Clear), and added WONDERFUL to the banner pieces, which I just traced from the banner that comes in the Noteworthy pack. 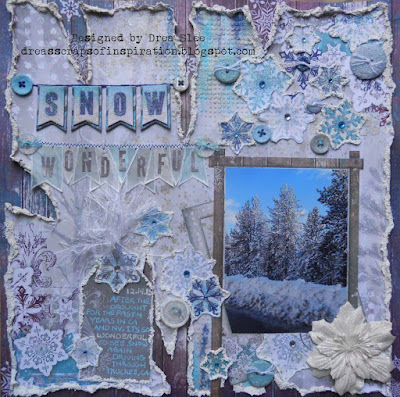 I also used the frames from the Noteworthy pack behind and around my photo, adding the beautiful white Prima flower to the corner. 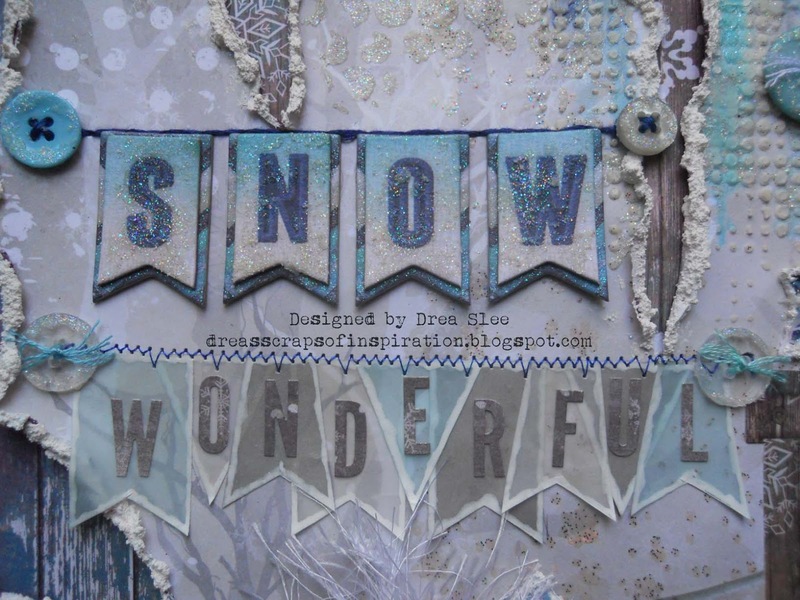 To create the tag, I used the gray paper that comes in the Ephemera, covering the edges with Snow-Tex, and adding some more snowflakes, tied off with some white fibers. Thanks for taking a peek, and have a wonderful day!